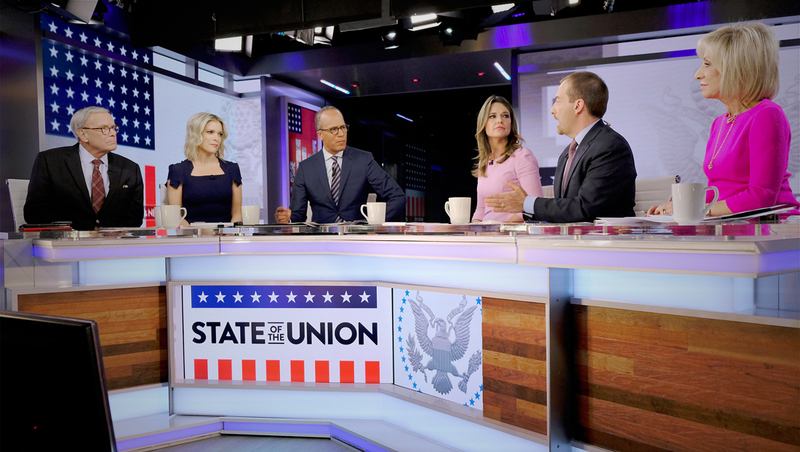 For its coverage of the State of the Union, NBC News utilized Studio N5, cladding its video walls with digital backgrounds that matches the graphics package it uses for political event coverage. The flat look, which was first created for coverage of Donald Trump’s inauguration, features a white background with bold red stripes and a blue field with stars. Studio N5 is located near Capitol Hill and is separate from the network’s main Washington, D.C. bureau and offices and was overhauled in June 2017 by Jack Morton Worldwide to add a larger anchor desk and large video walls, including sections that can be rolled out of the way to showcase a live, real view of the Capitol dome. 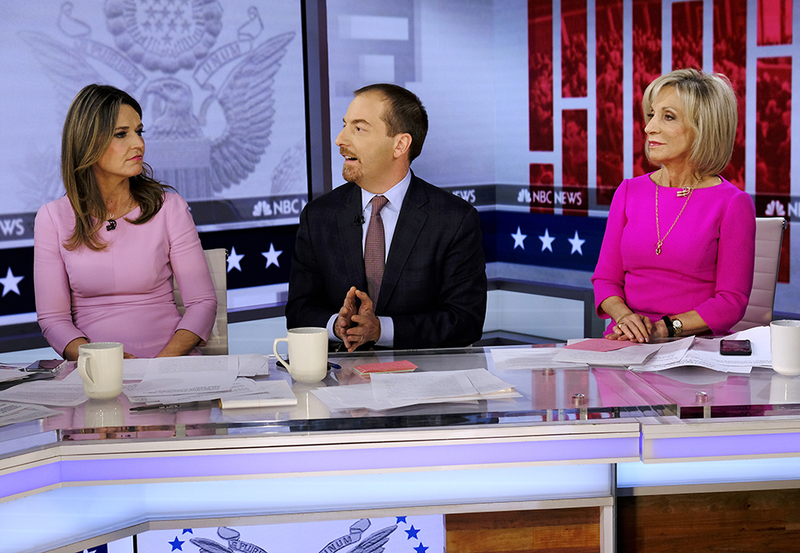 For its coverage of the State of the Union, NBC feed large versions of the political graphic package design dominated by an embossed version of the presidential seal to the walls, with the real window visible. Some of the panels also included a red background with stripes cutouts showing black and white photography of inside the House of Representatives chamber. 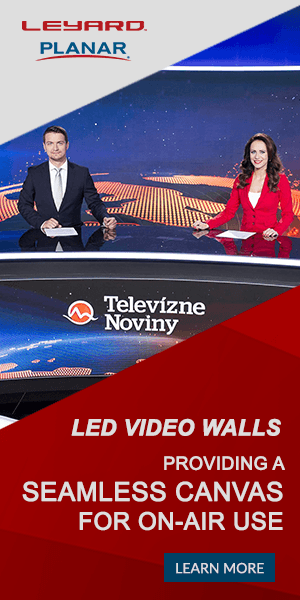 “NBC Nightly News” anchor Lester Holt was seated in the position in front of the window, with Savannah Guthrie, Chuck Todd and Andrea Mitchell on one side. 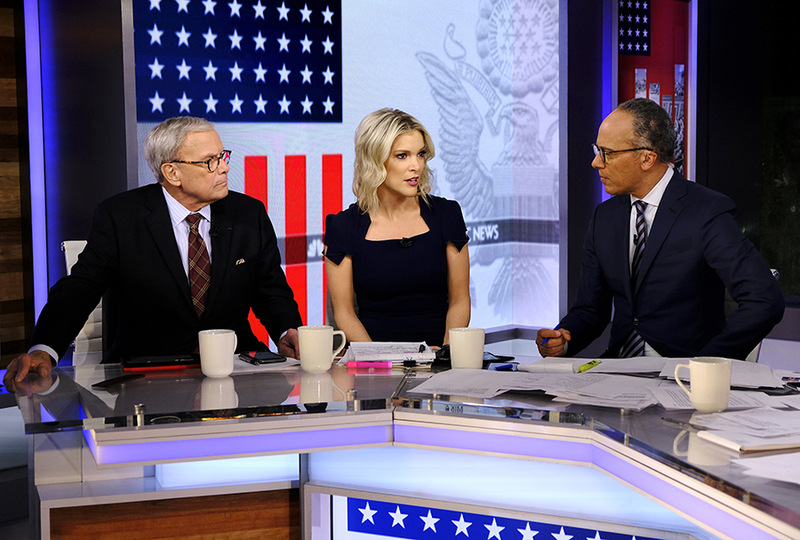 Meanwhile, Tom Brokaw was seated to the left along with Megyn Kelly, joining the panel for one of her first appearances as part of major special event coverage on the network. 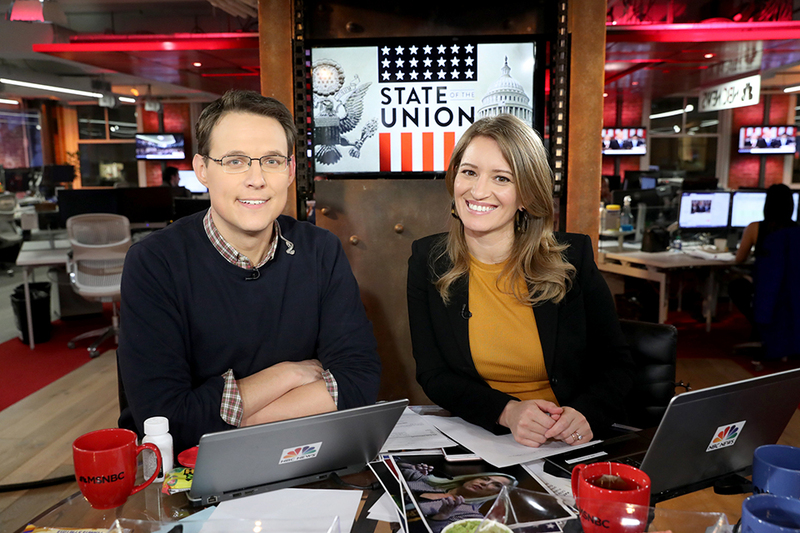 Back in New York, the network’s digital offering, the “SOTU Watch Party 2018,” hosted by Steve Kornacki and Katy Tur, originated from the network’s fourth floor newsroom in front of one of the large, industrial inspired pillars with the political graphics package look fed to the panel on it.